From the world number one in the mobile smartphone industry, Apple is now down all the way to the number three as a result of the massive involvement of other competitors in the mobile market especially companies from the far east. Apple did announced earlier last month January 2019 that there was a 11% decrease in it’s sales which wasn’t really pleasant to the company’s figures. Despite this, it’s as if that would keep on going on throughout this year as a matter of fact. The Second fiscal quarter forecast posted by the Wall Street showed the company’s sales to be between $55 Billion and $59 Billion. This might be a real disappointing result despite the fact that the report showed the fiscal first-quarter revenue the company had reported. There were reports of Apple’s iPhone sales to be in the realms of 66 Million since it’s first fiscal quarter which ends last December 29 2018 which was a sales plummet down from it’s earlier sales a year earlier 2017. Apple stopped publishing unit sales, meaning there’s no official account for the number of iPhones, iPads or Macs sold. The company said it tallied nearly $52 billion in iPhone sales, down 15 percent from the same time a year ago. Whether Apple had hit the wall or not, this isn’t clear yet. While some analysts claimed the sales dwindling might be as a result of the overpriced iPhones especially the iPhone X and it’s sisters. Even the entry-level Apple Macbook Air’s starting sales price is in the $999 realm while the iPhone XR being the only iPhone since 2017’s iPhone X series to be under the $1K pricing tag. Although Tim Cook, the corporate Executive Officer of the in his letter to Investors earlier January 2 2019 said the sales reduction of iPhones is due to the slowdown in the economic growthespecially trade tensions between China and the United States. Following up on a call Tuesday, Cook also blamed the lack of subsidies amplifying the sticker shock of its phones. This meant that the company’s shares had fallen more than 1% in regular trading. While Apple might be a really great innovative company that many of us loved and would queue for to buy their products when launched, considering how saturated the mobile market had gotten in recent years would make you wonder if Apple’s iPhones really deserves those price tags. Buy let’s not talk about price tag yet, Huawei one of the biggest IT brand in the world is now second largest mobile smartphone maker in the entire world right behind Samsung and even Samsung is on the shiver with the launch of loads of smartphones by the company. Even the smallest Hauwei smartphone offers enormous features which attracts customers from around the globe. Although the political issues the company has which had made it’s products banned from being sold in the US never affected the sales of the company an inch. While Apple had seen the growth of it’s other products like the Mac and it’s wearable devices still growing, the company still have something to fall back to. But then there are loads of services the company depends on right now. For example, the Apple Pay, Apple Music, App Store and so forth, never forget that companies are now disabling in-app purchases from their applications and that is a big deal. Let’s explain that in full. Large organizations like Neteflix, Amazon have both stopped taking subscription from their users right within the Apple’s iPhone applications because Apple takes 30% of those fees paid through the service. The same goes with Google anyway. “I hope that Apple will be able to move even further away from selling devices — towards expanding the services ecosystem,” Michael Obuchowski, the chief investment officer at Merlin Asset Management, said in an email. He added that he hoped Apple would open its services more widely so that people using devices running non-Apple systems could use them, a step the company hinted at earlier this month when it said iTunes and AirPlay would be available on TVs made by a host of manufacturers. The sales drops outside China were worrying to Moor Insights & Strategy analyst Patrick Moorhead. “This leads me to believe it’s a product issue, namely the iPhone, keeping consumers from upgrading,” he said. Larger issues like the trade war between China and the US wouldn’t affect Europe or Japan as much. 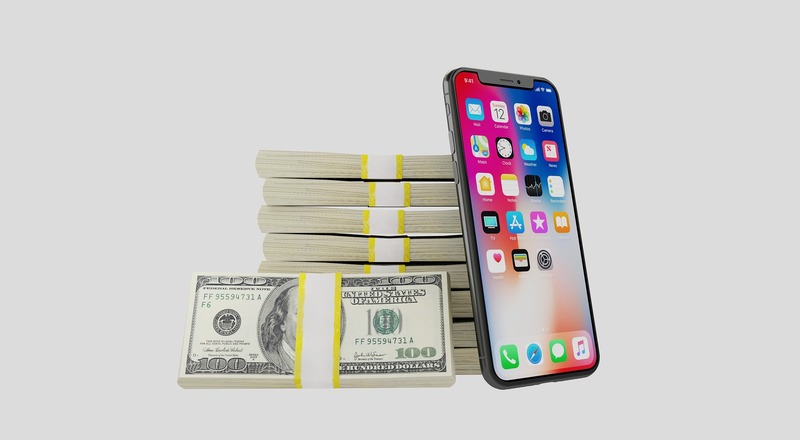 We all know that iPhones and all other Apple’s products are expensive and that’s a fact “So deal with it” Since 2017, the Iphone had climbed up to the $1K price range making it one of the most expensive smartphone of that time and a 53% price jump from the iPhone 7 Plus. Cook dismissed that concern, arguing instead that higher costs overseas were to blame. “I do think that price is a factor,” he said, but it was a perceived price in local currencies. To counteract that, Cook said Apple has begun lowering prices for its phones overseas so that the amount people pay is roughly the same as what it was last year.